3D phones were so 2011. Red has spent at least 18 months developing a phone with a 3D screen years after they went out of style. Though I sometimes enjoy 3D movies at my local cinema, I find 3D on phones, tablets, and TVs gimmicky at best. That's how I feel about the Hydrogen One's 3D offerings. The 3D screen and camera are neat to play with from time to time, but they are no reason to invest hundreds of extra dollars in a phone. That leaves the phone itself. What does the Hydrogen One do that the Note9, V40, and Pixel 3 XL don't do? Not much, particularly considering that costs more ($1,295) than the high-capacity iPhone XS Max and Galaxy Note9. The Hydrogen One is awkward, a giant phone that weighs a lot. Though I get where Red found its design inspiration, the mish-mash of materials and textures just doesn't work for me. The buttons and other controls are acceptable. Thank goodness the phone conquered call quality, data speeds, and battery life. A phone this huge needs to have a bigger screen; in this case, 5.7 inches ain't enough. I like that Red stuck with a normal version of Android, and the software ran well on the phone despite the older processor. The camera app looks dated, though it works well enough. More importantly, the One delivers solid photos and videos from the camera. I can't recommend the Red Hydrogen One to anyone right now. It's not a practical everyday device and unless you specifically want a weird/unique phone, you're better off sticking with something more mainstream. The Red Hydrogen, a phone first announced more than a year ago, has been approved by the FCC. The Hydrogen stands out thanks to its 5.7-inch holographic display, which promises 3D without glasses. AT&T and Verion today disclosed launch details for the Red Hydrogen One. The phone, which boasts a 3D "holographic" display, will reach select stores on November 2. At an event in NYC today, RED CEO Jim Jannard revealed how owners of the company's forthcoming Hydrogen One phone will be able to access and share 3D content. The phone has stereoscopic 3D cameras on both sides, and a "holographic" display that displays 3D content without special glasses. 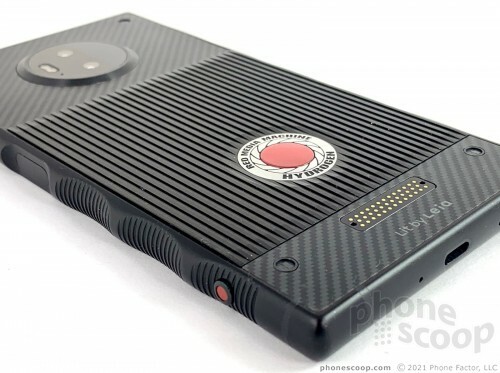 Red says its Hydrogen One phone will not be available this summer as planned. The company recently had to retool a part for the phone and this has delayed the certification process. AT&T and Verizon Wireless today voiced support for the Red Hydrogen One phone, which they'll sell later this summer. The Hydrogen One was first announced in summer of 2017.